Entries are restricted to branded or private label. Private label products may be entered by retailer’s manufacturers. Products entered must be for human consumption. Products must be available to buy in store or online to UK consumers by 22 November 2019. Products still in the development stage are not eligible, except seasonal items such as Christmas, Easter, Mother's Day etc. For the Fresh Produce categories only, products must be on sale in UK outlets at any time during 2018 or 2019. Products submitted must have been made according to standard production procedures and in no way different to those sold to the public. Pre-production samples are not eligible. There is no limit on the number of entries per company. Any product on sale is eligible for entry. Entries must be accompanied by an entry form and competition entry or purchase order number must be enclosed, otherwise the entry will not be accepted. Only specific products, not ranges, will be accepted as entries. Entrants will be asked to submit tasting samples, a full description of the product and its market. Details of where and how to send samples will be provided on receipt of entry. All samples must be received by the deadline specified or the product will forfeit its entry into the competition. 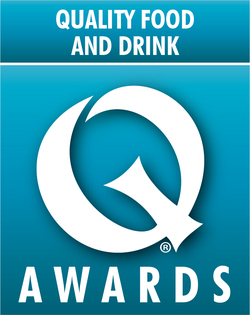 Products previously entered into the Quality Food Awards are eligible for re-entry. Entry is not restricted to new products. The organisers undertake to prepare products for tasting according to the printed instructions on the packs in which the products are sold, by a team of home economists. The organisers reserve the right to change the categories and the judging panel without prior notice. The company reserves the right to accept or reject entries. The decision of the judging panel is final and it will not enter into any correspondence. It is a condition of entry that all entrants will be bound by these rules. No entry cancellations will be accepted or refunded after 12 July 2019. Any pack photo submitted as part of the entry process may be used by Metropolis Business Media for marketing purposes. Small producer criteria: any business with fewer than 10 staff and annual sales no greater than £2 million is eligible for the small producer fee. Please note: The Quality Food Awards will not be held responsible for correcting company or product names that have been submitted incorrectly. Price includes drinks reception, three-course dinner, entertainment and awards presentation. Payment must be received before the event. Cancellations: You are welcome to substitute any guest(s) at any time. There will be no refunds on any cancellations received after 22 October 2019. Any changes to guests' names must be submitted in writing. Please note that 72 hours prior to the event, names of guests cannot be changed. VAT rate is 20% but may be subject to change without prior notice. To enter the prize draw users must have an active Twitter account, follow @QualFoodAwards and re-tweet (RT) our original competition message on their own Twitter account during the competition period. Only @QualFoodAwards followers will be entered in the draw. Only one entry per Twitter username per day will be entered in the draw. This competition is open to UK residents only and the prize must be dispatched to a UK postal address. All entrants must be 18 years old or over. The winner will be chosen at random from among the qualifying entries after the closing date and time. There are no cash alternatives to the prize offered. The promoter reserves the right to alter the prize at any time. The Twitter username of the winner may appear on the @QualFoodAwards Twitter feed. The winner will be notified via Twitter shortly after the closing date/time.